A dry well is a gravel pit placed underground where the water goes into the pit and seeps into the subsoil. Sometimes, dry wells can be covered with sod and soil, so it can’t be easily seen in the landscape. So it is important to make sure to check your dry well for it can be clogged with debris, silt and sediment which can reduce the life of your dry well to 5-6 years, so clearing it from time to time can be vital. You can also install a stormwater leaching system or a Flo-Well. It’s a 49-gallon container with holes all over and installed underground with 1 foot of drainage gravel around the unit. The Flo-Well can be used in a number of ways such as collecting water from catch cabins, downspouts, French drains and low areas. The Flo-Well helps to let water seep into the soil, preventing any harmful contaminants from going into local streams and creeks. Flo-Wells are great for yard drainage problems. Basement water may need different solutions, however, most of the time it can be solved by yard drainage work or grading along the foundation. Prevention is the still the best way of controlling yard drainage issues. Installing channel drains which will catch water and direct it to connecting pipes installed below ground and away from your home. This way can allow to target vital areas in your home instead of using a catch-all system. Making sure that water is moved away from your foundation will lessen the hydrostatic pressure in that area. This way, your foundation will note get cracks that can result in damage or leaky basements. You can always use more drains to redirect water to other areas before it can cause drainage problems. Maybe the best way is to connect your current gutter system to new drain pipes that run underground and going away from your house. 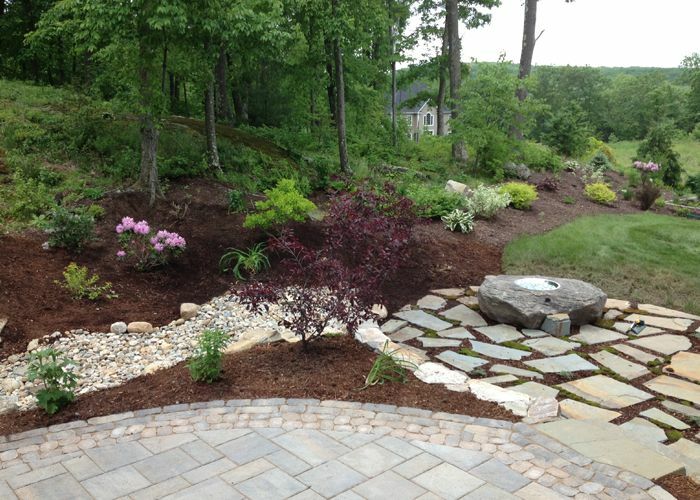 You can have landscape designers install a water garden in your yard. Water gardens can help in solving your drainage problems by holding extra water in a beautiful basin that supports water plants. A water garden is a good place for your excess water to go to instead of forming unpleasant puddles or into the soil around your foundation. Thanks to Wet Coast Drainage Solutions for these tips.